The battlecruiser is perceived by many as the most glamorous of warships, remembered for its triumphs and tragedies in both world wars. Often forgotten are its lineal ancestors, the big cruisers that were constructed as capital ships for distant waters, as commerce raiders, and as fast scouts for the battlefleet during the last decades of the nineteenth century and the first years of the twentieth. 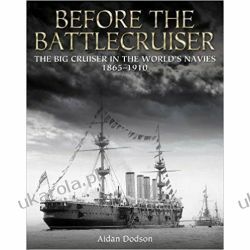 In this new book by bestselling author Aidan Dobson, the 200 or so big cruisers that were built for the world s navies from 1865 are described and analysed in detail. The type came into being in the 1860s when the French built a series of cruising ironclads to project its power in the Far East. Britain followed suit as did Russia. By the 1890s the general adoption of these fast, heavily-armed and moderately armoured vessels ushered in the golden age of the big cruiser. These great ships would go on to be key combatants in the Spanish-American and Russo-Japanese wars, the Japanese employing them within the battlefleet in a manner that heralded later battlecruiser tactics. In Britain, in reply to the launch of the big Russian Rurik in 1890, there was spawned the freakishly huge HMS Powerful and HMS Terrible, ships that underlined the public s view of the glamour of the great cruiser . Indeed, the two ships cap-tallies became ubiquitous on the sailor suits of late Victorian British children. In some navies, particularly those of South American republics, the big cruiser became the true capital ship, while the Italians built the Giuseppe Garibaldi as a more affordable battleship. 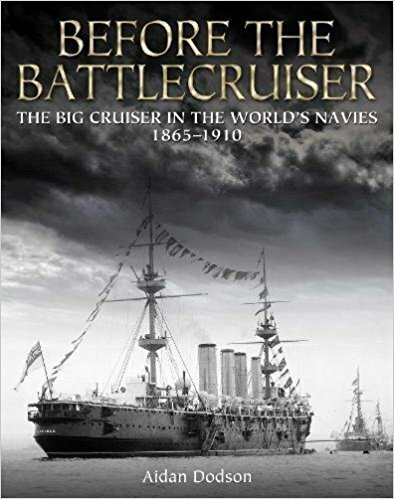 By the beginning of the twentieth century the type became yet bigger and guns approached battleship size; with HMS Invincible the British created what was, in 1912, officially dubbed the battlecruiser . Despite their growing obsolescence in the new century some had remarkably long careers in patrol and other subsidiary roles, the Argentine Garibaldi still sailing as a training ship in the 1950s. The design, development and operations of all these great vessels is told with the author s usual attention to detail and depth of analysis and will delight naval enthusiasts and historians of the late nineteenth and early twentieth centuries.